Cape Town is one of those cities in the world that once you lay your eyes on it, you never want to leave. The Cape itself is a jewel that has never truly been discovered and appreciated. There are a myriad of breathtaking destinations and interesting attractions within 2 hour driving distance from Cape Town. Cape Town is the oldest city in South Africa and also feature an interesting history with beautiful Cape Dutch houses. Many of which are available as a guesthouse, wine tasting and restaurant service. There are many beautiful seaside attractions for fun on the beach, sun tanning and lovely restaurants. Some of these include Bloubergstrand, Camps Bay, Sea Point, Bantry Bay, Clifton and Muizenberg. Hout Bay, Simonstown, Hermanus, Fish Hoek and the Waterfront is perfect for whale watching, fishing and harbour trips. If you are the avid wine and cheese connoisseur, then the Cape Winelands will truly enthrall your taste buds. To name just a few are Constantia, Stellenbosch, Paarl and Franschhoek. You can even do tours from the city, or stay in one of the luxurious five-star country hotels. If you enjoy light hiking, walks, walking trails and picnics, Cape Town is ideal. From the fresh forest of Kirstenbosch to the rolling hills of Table Mountain National Park, and the peaceful luxury of Spier you will be spoilt for choice. Over an hour from Cape Town you can also stay at Big Five game reserves and meet the King of the Wild (the Lion). It doesn’t matter what you are looking for as an adrenaline, leisure or water sports holiday maker, Cape Town can cater to you. CABS car hire caters for the more discerning traveler carrying a selected range of affordable and luxury vehicles for hire. 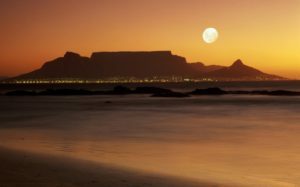 Search the CABS website for your Car Hire requirements and enjoy all that Cape Town and the surrounding areas have to offer.